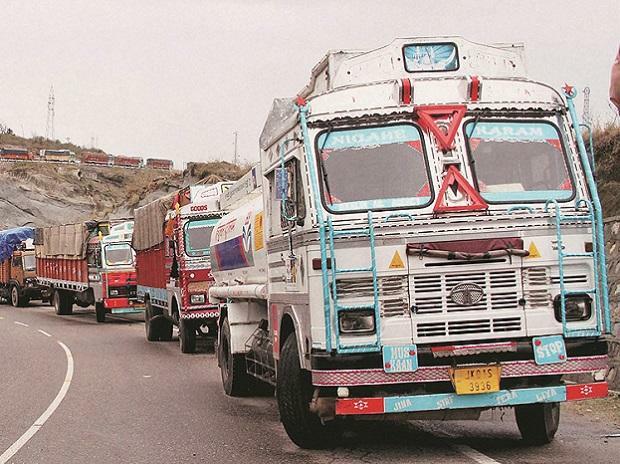 The government on Thursday relaxed the norms for e-way bills. Rules regarding validity have been changed, while a facility has been provided for auto-calculating the route distance. Under the goods and services tax (GST) regime, an e-way bill has to be generated if goods worth over Rs 50,000 are transported. Currently, an e-way bill is valid for up to 24 hours for a distance of 100 km, depending on the size of the vehicle. However, if the vehicle does not cover 100 km within 24 hours, another bill has to be generated. For every 100 km travelled, the bill is valid for one additional day. This has created problems. For instance, if a truck gets stuck in traffic or breaks down and is unable to cover 100 km, another bill is required to be generated. Now, the government has enabled extension of the validity when goods are in transit. Similarly, the government has enabled auto calculation of route distance based on pincodes of points of origination and destination. However, users can enter the actual distance, based on the movement, but it can only be 10 per cent more than the displayed distance. Singh said “auto calculation of the actual distance between supplier and recipient based on PIN codes shows the right use of technology to assist in compliance”. Also, composition dealers will not be allowed to generate bills for inter-state movement. These dealers are the ones which pay lower and flat GST rates but are not allowed to take input tax credit. But, the composition scheme is not there for inter-state movement of goods. These dealers will also not be allowed to enter any of the taxes under Central GST or State GST intra-state transactions. The government is also considering stopping generation of multiple e-way bills on one invoice number. This is being done to curb tax evasion, sources said.